Early American currency went through several stages of development in the colonial and post-Revolutionary history of the United States. Because few coins were minted in the thirteen colonies that became the United States in 1776, foreign coins like the Spanish dollar were widely circulated. Colonial governments sometimes issued paper money to facilitate economic activity. The British Parliament passed Currency Acts in 1751, 1764, and 1773 that regulated colonial paper money. During the American Revolution, the colonies became independent states; freed from British monetary regulations, they issued paper money to pay for military expenses. 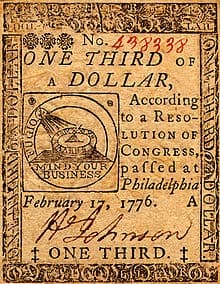 The Continental Congress also issued paper money during the Revolution, known as Continental currency, to fund the war effort. Both state and Continental currency depreciated rapidly, becoming practically worthless by the end of the war. To address these and other problems, the United States Constitution, ratified in 1788, denied individual states the right to coin and print money. The First Bank of the United States, chartered in 1791, and the Coinage Act of 1792, began the era of a national American currency. There were three general types of money in the colonies of British America: commodity money, specie (coins), and paper money. Commodity money was used when cash (coins and paper money) was scarce. Commodities such as tobacco, beaver skins, and wampum served as money at various times and places. As in Great Britain, cash in the colonies was denominated in pounds, shillings, and pence. The value varied from colony to colony; a Massachusetts pound, for example, was not equivalent to a Pennsylvania pound. All colonial pounds were of less value than the British pound sterling. The coins in circulation in the colonies were most often of Spanish and Portuguese origin. The prevalence of the Spanish dollar in the colonies led to the money of the United States being denominated in dollars rather than pounds. One by one, colonies began to issue their own paper money to serve as a convenient medium of exchange. In 1690, the Province of Massachusetts Bay created “the first authorized paper money issued by any government in the Western World”. This paper money was issued to pay for a military expedition during King William’s War. 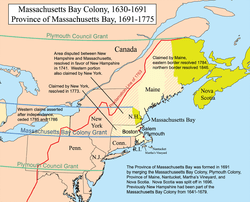 Other colonies followed the example of Massachusetts Bay by issuing their own paper currency in subsequent military conflicts. The paper bills issued by the colonies were known as “bills of credit”. Bills of credit were usually fiat money; that is, they could not be exchanged for a fixed amount of gold or silver coins upon demand. Bills of credit were usually issued by colonial governments to pay debts. The governments would then retire the currency by accepting the bills for payment of taxes. When colonial governments issued too many bills of credit, or failed to tax them out of circulation, inflation resulted. This happened especially in New England and the southern colonies, which unlike the middle colonies, were frequently at war. This depreciation of colonial currency was harmful to creditors in Great Britain when colonists paid their debts with money that had lost value. In 1776, English economist Adam Smith criticized colonial bills of credit in his most famoust work, The Wealth of Nations. 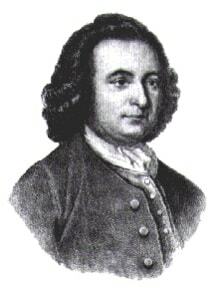 The inflationary nature of the currency, wrote Smith, was a “violent injustice” to the creditor; “a scheme of fraudulent debtors to cheat their creditors” (Book II, Chapter II). 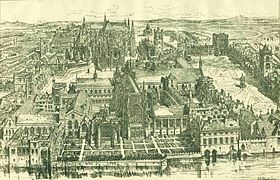 As a result, the British Parliament passed several Currency Acts to regulate the paper money issued by the colonies. The Currency Act of 1751 restricted the emission of paper money in New England. It allowed the existing bills to be used as legal tender for public debts (i.e. paying taxes), but disallowed their use for private debts (e.g. for paying merchants). Another Currency Act in 1764 extended the restrictions to the colonies south of New England. Unlike the earlier act, this act did not prohibit the colonies in question from issuing paper money, but it did forbid them to designate their currency as legal tender for public or private debts. This prohibition created tension between the colonies and the mother country, and has sometimes been seen as a contributing factor in the coming of the American Revolution. After much lobbying, Parliament amended the act in 1773, permitting the colonies to issue paper currency as legal tender for public debts. Shortly thereafter, some colonies once again began issuing paper money. When the American Revolutionary War began in 1775, all of the rebel colonies—soon to be independent states—issued paper money to pay for military expenses.